Kidd’s Restoration & Cleaning services offers water damage removal services in Lynchburg, VA. We are a local family-owned company with licensed certified technicians to offer fast water removal restoration and fast home drying. Kidd’s Restoration is a general contractor and complete restoration project from beginning to end; water restoration, fire restoration, mold removal, sewage damage, tree damage and more. Call Kidd’s Restoration today at 434-847-1281 and we will respond 24 hours a day 365 days a year including holidays to help you with your water damage and get you back in your home as fast as possible. Roy was super helpful and professional! He is very detailed in his work and I highly recommend consulting him on your mold issue. Toni and I would like to throw out a big THANK YOU to John Tillman and Kidd’s Restoration for their Awesome work!!! Thanks to John who kept us updated all the way and answered all of our questions as we went through this process and made this whole process worry and stress free. I would recommend them to anyone who needs work done. So grateful I call Kidd’s Restoration. They did the job right the first time, took care of me and my wife with respect and had the friendliest technicians. It was a water damage that was later discovered to find mold. They did everything start to finish including repairs. I highly recommend calling Kidd’s Restoration for any of your restoration needs. Had a devastating home fire and Kidd’s Restoration responded fast to secure my home and get it boarded up. Afterwards they worked with my insurance adjuster to make sure everything was going to be done correctly and they cam to an agreed upon price with the insurance. The process, considering a major home fire, could not of been easier! First time using Kidds Restoration and Cleaning and I would use them again if I had to, let’s hope I don’t, lol. We had water damage in our closet, not a huge area but they still took care of us like we were their only customer. Definitely recommend you go no where else and hire Kidds Restoration for you water damage cleanup. Had water in my basement and Kidds Restoration took care of it immediately. They responded same day, extracted the water in the basement and had my house dry within days. They were a life saver. I have used this company for 15 years. They are professional and do an excellent job. They have always helped me out when I am in a jam. I highly recommend them. If you find water damage in your home, you should react fast. Water damage can cause a lot of damage to your home, especially if you wait and let the water sit. Sometimes you may not be able to tell if your floor is wet, this is where a restoration contractor comes in. 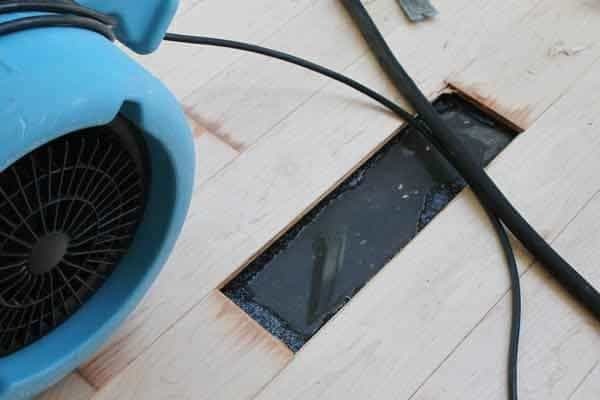 With their expert moisture detection devices and knowledge, a restoration contractor can determine if an area in your home is wet and the spread of the affected area. Kidd’s Restoration is a certified IICRC company, with certifications in Water Restoration, Mold Removal, Fire & Smoke Restoration, Structural Drying and more.